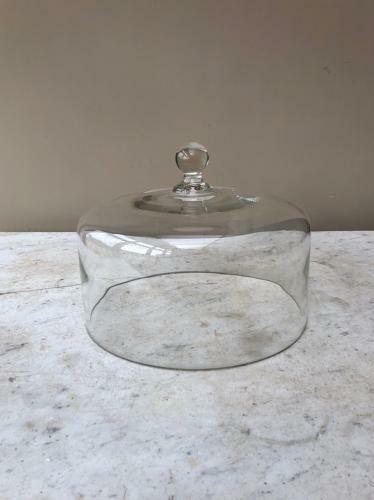 Large Antique Glass Dome in Superb Condition. Really superb condition & size Early 20th Century Glass Dome. No damage...just lovely over a cake plate...or round slab.